Tony Fadell, the father of the iPod and the co-founder and CEO of startup Nest Labs, wants to get back to doing what he does best: being a designer. That’s one of the reasons why Fadell and his team have sold Nest — their young startup that makes smart thermostats and sleek smoke detectors — to Google for an eye-opening $3.2 billion, or roughly 5.8 percent of Google’s total cash. 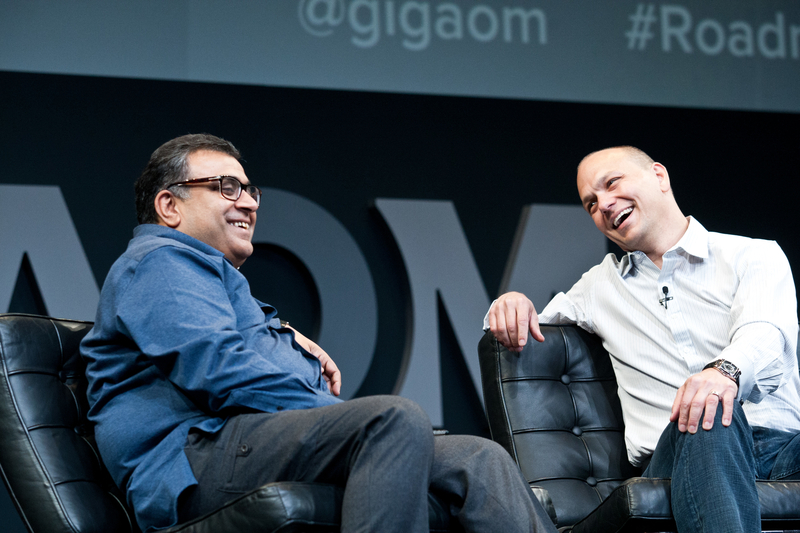 In an interview with Gigaom following the announcement of the deal, Fadell told us how he wants to refocus on designing product experiences instead of spending his time on scaling and infrastructure — something that’s long been at the core of massive Google. It’s certainly “not about laptops and phones,” joked Fadell; it’s more about a marriage of hardware, software and services, he explained. And the deal has been under discussion for a long time, he noted, Sergey Brin was the one who originally told Google Ventures to start a discussion with Nest. Here are edited excerpts from a conversation with Fadell. Om Malik: Tony, it seemed like you were on a great trajectory and were looking to build a standalone company, so what changed and led to the decision to sell? Tony Fadell: We had been hoping to build an independent company. There were plenty of people who offered money but Google offered a great middle ground — we focus on product and vision and they will help build out the company and help scale it. TF: I was spending nearly ninety percent of my time on building the infrastructure of the company and I wasn’t able to spend enough time and cycles on what I love doing: products and creating differentiated experiences for our customers. That is where my love is and Google offered to let us focus on that, but with scale that will help bring our horizon closer to us, faster. Google offers to bring that scale to us. For me, ultimately building great products is key. OM: Explain to me what Google brings to the table, in terms of scale and bringing the horizon closer? TF: When as a company you want to change the world, you have to look at markets outside of the US. We are doing very well in the US and Canada but we need to get to Europe and around the globe. Just getting to UK has taken up a lot of time and energy and when you look at Europe, there are many countries and many opportunities. It is an atoms-based business and a lot goes into getting it to scale — legal, physical distribution and even localization are time consuming and need new kind of scale. OM: Can you share how this deal went down? TF: We have been talking to them for a long time. Google Ventures have been investors in Nest. Sergey told Google Ventures that they should be talking to Nest and we talked about technical collaboration but then Google offered a deeper relationship. Larry, basically said that Google could add another product group but since you (Nest) have the vision, the team and expertise, why not join up. Google, offered us scale and it made sense to us. Will Google’s server infrastructure come in handy in a few years? Absolutely. Will their ability to work with algorithms help us? Absolutely. There are a lot of short and long term benefits, but in reality they are going to help us get to new markets at a much faster rate — especially, overseas. I see there are a lot of customers in countries were we are not there yet. OM: What should we expect to see in the coming months? TF: We are going to increase our marketing spending to get more people to use Nest products. OM: What do you think will be the impact of this deal on the whole “internet of things” market? TF: I think this will prime companies to kick off all the excitement around “internet of things” and shed light on all the products that were ignored. What we are doing changed the game and, with Google by our side, tells the world that this is a serious business. A lot of other companies are going to wake up and realize the importance of this market. In the end that is good for the customer. We are ready to compete in the market — we know we have the best products. Great move for Google. It’s one more piece towards building the customer intimacy needed to achieve what T-Systems calls a zero distance relationship with the customer. It’s this type of intimacy that fuels further innovation and allows for optimal engagement. Not quite, Om. I understand that to comment on YouTube now, you have to join G+ first. And with the news that anyone on G+ can email you without knowing the address, my faith/trust in Google is further diminished. I’m not a businessman, but I’ve no doubt that Mr. Fadell could have hired help with money others were offering him to free himself from management and do design. It seems to me that it’s about personal money that Google offered him, and so much that he couldn’t refuse. Maybe I’m cynical, but it seems to me that the sole purpose of buying Nest is to pry on the most personal data of what people do at home. They’re going to go where even NSA couldn’t. The company’s thirst for data is unquenchable. Oh and I think you are right Google wants Tony Fadell skills for something else. Same thing Danox, no one is stupid enough to spend $3B to hire an individual. For starters, Google’s Board should have sufficient experience to know that no single designer makes a product, its always a team effort. More importantly, even if they was the most talented designer in the world, you don’t buy out his/her employer – you just offer him/her a lump sum cash deal to join you, which would only be in the tens of millions. Remember that the Board is accountable to shareholders – spending $3B to hire someone would lead to an immediate corporate negligence lawsuit. If I had to make a reasonable guess, my view is that this is purely to get into the next level of “connected” layer — devices. It is more like the YouTube deal where they left them alone long enough to become a major business unit and then started to do the Google monetization thing. Google has the luxury of money that only a handful of others can do. This team is good as any to bet on — so from that standpoint it might turn out to be a calculated gamble. Of course, proof is in the pudding, so let’s wait and see. I am in complete agreement with you on this, your guess is exactly what I would expect to hear if I was on Google’s board. I was only suggesting that the suggestions by certain people that it’s mainly about data and/or an individual seemed weakly thought through. Exactly, Google is going to leave Nest alone for maybe a few years. After that who knows what’s going to happen. By then you probably have a Nest Door lock, Nest Light switch…. Then even your offline data could be monetized by Google. You’re missing the point Benjamin. If you have a Nest door lock, and a Nest light switch, then Nest (and therefore Google) are already making money because you have paid consumer prices for those items. The data is just a red herring – data from Android phones, Chrome , Chromecast , Google smart TVs, Google fiber, Gmail, Youtube, Google driverless cars etc is infinitely more valuable (to Google) than Google knowing whether you like your home at 72F versus 74F. Or whether your door is locked or not. And if you bought any Nexus device OR Chromebook pixel you also already paid Google. What’s stopping them from making more money on top of that. Those devices run browser based internet applications, which is how Google make their money. Not all data contains a sufficiently large density of useful information. Which is why Google is not buying my local utility company despite their access to my energy consumption data. Of course it’s not just about energy consumption data. Nexus Android phones are not just running a web browser. There is a lot more than that. And the way Chrome OS is heading, it will not be just a web browser either. 3.2 billion dollars is more than what Apple has spent in 17 years of acquisitions, it doesn’t appear to be Apple’s style to spend as much money (waste) as Google, Microsoft or HP have in recent times acquiring companies. So, why didn’t Apple buy Nest? As shown in the interview http://23tv.de/?p=327 , one of Tony Fadell’s competencies is to build great designed products. Apple has this capability and Google definitely need to improve this skill. Thus, I believe Google acquired nest for Tony Fadell’s skills and not for nest’s data. That does not make any sense Therese, all they would have had to do is offer him reasonable sum (under $50M) to join Google while keeping his Nest stock. No one spends $3B to hire an individual. Don’t fall into the trap of believing there is any single individual blessed with superior artistic abilities and vision beyond any other. Modern design is a team effort – the days of Michelangelo are long gone. why didnt apple buy nest? because theyre not in the home automation business. simple. apple is focused, they say “No” to a thousand *good* product ideas. Jobs and Cook and spoken about this many times. buying a successful company that isnt your core business just to maybe prevent somebody else from doing so is poor business. Exactly what data does Nest have that a) Google might want, and b) if they did, that Google could not get by pursuading Android manufacturers to add a temperature sensor to their phones ? Om, or anyone, please comment? People keep using the word data rather aimlessly, and Om seems to have started doing it. 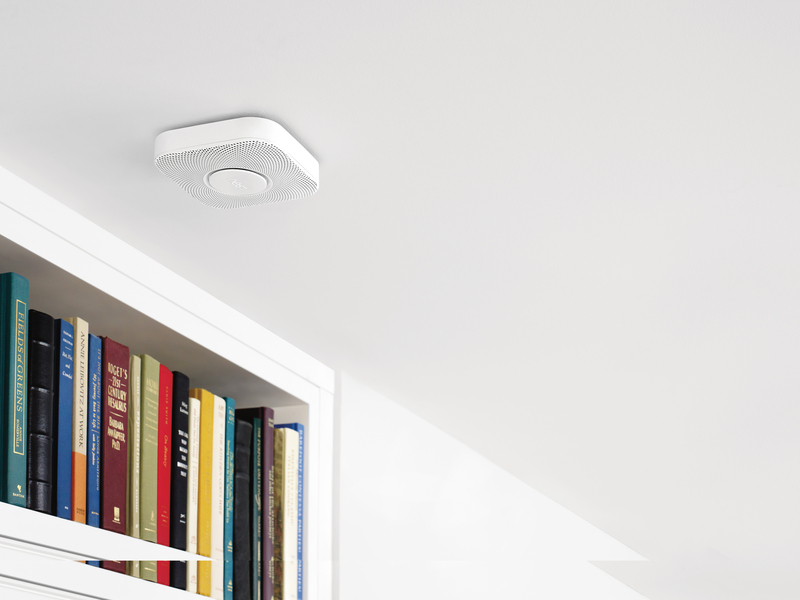 With Nest, Google can know when you’re home, when you’re not, what your typical schedule is. 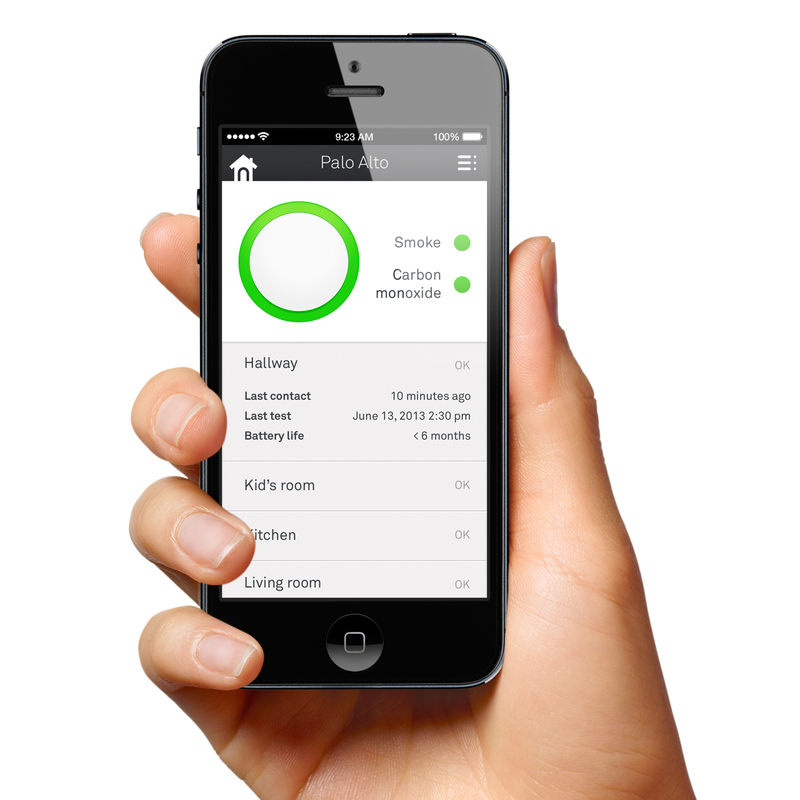 With Protect they can tell what room you’re in. So if you have a Protect in the kitchen and you’re cooking dinner, they could present ads with kitchen related products if you do a quick search on your phone/tablet for a recipe. If you’re in the living room, they could present a movie ad to entice you to download or rent the movie. Now these are relatively simplistic examples, and there’s no way of knowing if that’s something Google might do, but does give an example of how the data could be used . And it might be that Google is just trying to get a foothold in the “next” big market for home automation. Or maybe Google just wants the design and UI savvy that Tony Fadell and his Nest crew bring to the table. Thanks for the attempt Travis, but have you looked at Google location history? Google already know when I’m home, when I am asleep, and when I am awake. They know when I’m at work, what time I leave for work, what route I take to get there, and how long I’ll be delayed by the traffic on the road. They know what I’m watching on TV (because it’s on same network as cell phone) , what supermarket I do my grocery shopping at, when I’ll go on holiday, where I’ll stay when I’m there, who I am going with, and how much it cost. They know what I bought on Amazon last week, and can read the emails to customer service explaining why I sent it back. They know who my friends are, where they live, and what they do. So exactly what unique data is it that Nest has, that has relevance on the scale that Google is interested in? Paul, if you don’t believe its about the data and based on other posts, you don’t believe it was about the people, what is your thoughts as to why Google paid $3.2B for Nest? Granted, unless anyone has inside information, its all conjecture, but curious as to what other’s think the reasoning is. Nest is a company with two commercial products, a certain amount of IP, and operate in an interesting space with significant growth potential. Everything suggests that they bought it because of it’s intrinsic commercial value, independent of Google’s needs. Google bought a robotics firm a couple of weeks ago – no one would say that’s for ‘data’. Robotics is eventually about collecting data. One day Instead of have fleets of self driving cars, Google could send those “big dog” out to collect data on the open street instead. Of course it’s going to take more research AND lobbying to make that happen, but I am sure that’s what they have in mind. paul – google doesnt know any of that about me. how on earth would they, since i dont use their products? thats why they want this data. First hardware product that makes a profit. Somehow he thinks he can use Google’s infrastructure, but at the same time not share their user’s data? Really. Google literally owns you now. I don’t need Google to have information about every aspect of my life. I’ll keep Google’s data collection within the browser. I hope Fadell can prevent Google from doing to Nest what Microsoft did to the Sidekick. I thought the Nest products were great, very savvy and the design, brilliant. However I was disappointed to hear that he had sold out. He could had others step in and do his job while he focused on designing. I think there is more to it, then he’s willing to say. agreed — isnt it the CEO’s job to work on scaling the company into new markets? as in, that’s his actual job? product design is for product developers. No doubt this deal will help Nest expand internationally more quickly. However its difficult for me to believe that given the VC money Nest had, that Mr Fadell couldn’t find some one(s) to help build the infrastructure so he could spend more time on the products and experiences. Google has a great amount of experience in infrastructure and scalability, but they certainly don’t have a monopoly on that kind of knowledge. In my opinion, from Nest’s perspective, this is more about IP protection given the lawsuits they were facing. And obviously from Google’s perspective, its all about the data. Good points, but as TF explained Nest was facing the challenges associated with expanding a physical goods maker to more markets. It might not just be executive talent, but also dealing with legislative challenges as most of these markets such as energy are controlled and regulated and need much more interaction from say, founder/executives. Also, good points about the IP protection. My colleague Katie wrote about those in her post. Be sure to check it out. PS: I have Nest installed and will continue to use it, but will see how Google behaves on the data before making a decision. That’s fair, but outside of Motorola does Google have much experience expanding physical goods into international markets or in gov’t policy around energy devices? Nearly all their products are software based. Google’s international data center experience probably helps, but again, DCs aren’t physical consumer products. Does Motorola currently have a large international presence? Not being snarky, I genuinely don’t know the answers to these questions. Either way, it seems like there would be people that could assist with a move to globalize Nest outside of being purchased by Google. I’m just trying figure out what’s in it for Nest other than $3.2 billion (which is a lot of reasons). things like Nest Thermostats have a fairly limited market outside of US. Typically people use single room units. agreed — just what experience or advantage does google have when it comes to scaling physical goods into europe?? that isnt their forte at all — theyre a software-based advertising company. Lol. One way of putting it. I think Tony’s thoughts sound reasonable, but I have a sneaking suspicion that he may regret this move. Google does indeed have scale, they have infrastructure, and they have ambitions. But their attention span is limited and their greed for data — not customer experiences — blinds them to the kinds of goals Nest appeared to be pursuing. The best outcome Tony can hope for is that Google treats Nest the way Cisco has treated Meraki (so far) — they let the subsidiary focus on new markets, new features, great experiences, and let the small company ride on the capital and infrastructure of the larger company. But in the end, there will be political battles for control of resources, for control of vision and direction, and Tony and team (as well as the folks at Meraki) are likely to lose out. They simply won’t be invited to the right meetings, they won’t be at the right off-site conferences or parties. Their focus on great products for users will, ironically, lead them to lose functional power in the larger company. At least that’s my guess. And my worry. Thanks for your thoughtful comment. It only remains to be see how things turn out, but I think Google also has left YouTube alone and actually helped turn it into a good business unit for them. Maybe that is what we will see again. Just to expand, while Google *has* left YouTube alone for many years, its recent effort to spoon feed Google+ into YouTube has made the service for the worse. And many would argue that many of its once-great services (e.g., Gmail, Maps, Search results page) have deteriorated significantly. I am hoping that Google acquisition would at least result in (1) lower price of Nest Thermostat and Nest Protect, (2) speed up development of new products (I would love to see Nest’s take on things like door key/bell, home security, Bluetooth locator dongle). Just look at Andy Rubin. Maybe one day Tony Fadell will leave nest and moved to work on Google X too. Iâ€™m not a businessman, but Iâ€™ve no doubt that Mr. Fadell could have hired help with money others were offering him to free himself from management and do design. It seems to me that itâ€™s about personal money that Google offered him, and so much that he couldnâ€™t refuse. Maybe Iâ€™m cynical, but it seems to me that the sole purpose of buying Nest is to pry on the most personal data of what people do at home. Theyâ€™re going to go where even NSA couldnâ€™t. The companyâ€™s thirst for data is unquenchable. @john – fadell has three billion reasons not to regret this move. trust me, he wont be losing any sleep on his yacht over it. I do think it’s more about money than infrastructure.